Anyone seriously injured because of another party’s recklessness or negligence can seek compensation via a lawsuit. Many types of lawsuits have a statute of limitations or time limit within which the lawsuit must be filed. In Texas, most personal injury cases have a two-year statute of limitations from the accident causing the injury. For a wrongful death lawsuit, the two-year statute dates from the time of death. Your attorney will inform you about the relevant statutes of limitation in your case. A person suffering a serious injury needs a qualified and experienced personal injury attorney to fight for them. The Dashner Law Firm, with offices in Dallas, Fort Worth, Arlington, Irving, and McAllen, Texas, provides personal injury law services to the Dallas-Fort Worth area. At Dashner Law Firm, we will evaluate your particular situation and determine whether you have a case. A lawyer does not represent a client until both parties sign an engagement agreement. An attorney cannot represent anyone with whom he may have a conflict of interest. Such conflicts may involve current or previous clients or issues of a personal nature. The attorney representation agreement delineates the attorney/client relationship. If you have any questions, ask your attorney before signing the agreement. The terms of the agreement include any retainer, fees, and a payment schedule. If your case is taken on contingency, the agreement will state the percentage of any award due to the lawyer. The agreement should also state that other expenses, including litigation, are deducted from the award. It will state whether those expenses are deductible before or after the contingency fee calculation. The terms make clear whether fees vary depending on whether the case settles, heads to trial or is appealed. If you are in an accident, there are two primary issues to consider. The first is getting medical attention, even if you do not think you were badly hurt. The second is what not to do, and that involves signing any agreements with the insurance company. The other party’s – or defendant’s -insurance company wants you to settle for as little as possible and will try to get you to agree to an offer while you are still experiencing the physical, emotional and mental effects of an accident. Your attorney knows whether a compensation offer is reasonable, and can help you negotiate the insurance claim process. If a fair settlement cannot be reached, the case heads to trial. 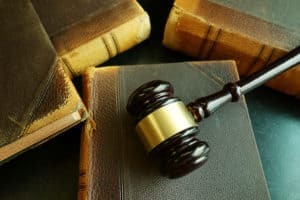 More often, the defendant’s insurance company’s lawyer sends an answer known as a “general denial.” This means the plaintiff must provide proof of the allegations in the petition. The answer may include defenses to claims made in the suit. Response to written questions between the parties, with the responding party writing under oath. Request for disclosure – this request asks for the legal names of all parties, factual basis and legal theories behind the lawsuit or the defense, and contact information for individuals possessing applicable information regarding the case. Requests for admissions – this allows one side to ask the opposing side to admit or deny facts relating to the case. Such requests are made in writing, with each separate request listed as such in the document. If one side cannot answer these questions or objects to them, they must explain the reason for not answering or objecting. Requests for examination – allowing the other party to examine documents – including emails, texts, and other electronic media – or property or physical items relating to the case. These requests must specify the time and place for the examination of the items, within a reasonable limit. Physical or mental examinations – such examination usually requires a court order from a judge, who decides whether such a procedure is relevant to the facts of the case. Depositions are interviews performed under oath and taken down by a court reporter. Such interviews may be conducted in person or via telephone, an electronic medium or in writing. Parties involved in the case are not the only ones subject to deposition. Witnesses or others with relevant information to the case may be deposed. There are strict rules regarding depositions, including noticing, location, time limits, and areas of questioning. Should the case go to trial, depositions may be used in court. The goal of mediation is reaching a settlement. That does not always happen, but it is a last attempt to settle the case before going to trial. 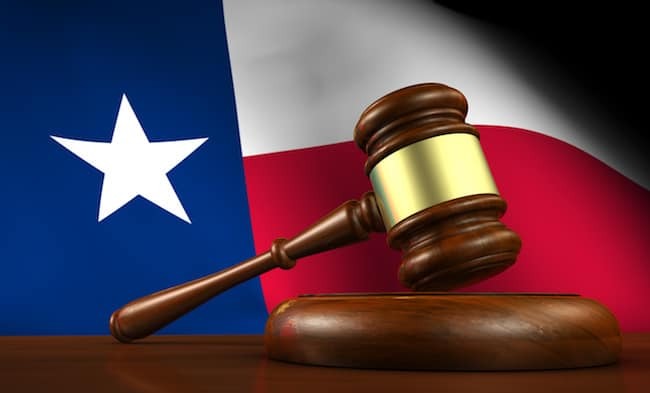 In Texas, mediation is necessary before a civil suit heads to court. In mediation, lawyers for both parties meet in an attorney’s office and discuss the case in front of a mediator. That individual is usually a retired judge. Once both the plaintiff’s and defendant’s attorneys speak, each goes into a separate room. The mediator meets with both of them, going back and forth in an attempt to reach a settlement. The mediator might recommend ways of resolving the issues, but he or she is not acting as a judge and cannot force a settlement. The plaintiff and defendant do not have to say anything during mediation. If you do comment, it is considered privileged information – it cannot be used against you in the suit. A mediation session is not recorded. If seeing the person who caused the injury is distressing, you do not have to stay in the room with that individual. “guilty” or “not guilty” situation as occurs in a criminal trial. Unlike a criminal trial, where the burden of proof is “beyond a reasonable doubt,” in a civil trial it is based on the preponderance of the evidence. 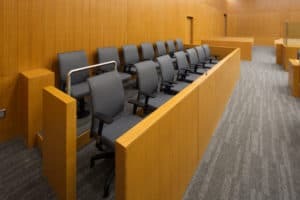 If your attorney thinks a jury trial is preferable, it is necessary to file a written request with the clerk of the court within a certain period of time. In a civil trial, each attorney presents an opening statement. The plaintiff bears the burden of proof, so they and their witnesses and evidence go first. Besides witnesses, such evidence may include police reports, medical records, and copies of pay stubs or other information verifying lost wages. It is possible to settle a case even during a trial. Once the case is settled, it is over. We have locations in four major cities. If you are in the need of a personal injury attorney, contact Dashner Law Firm today!! (972) 793-8989 or (817) 864-9980.